North Las Vegas's Top Injury and Wellness Chiropractor! Learn more about the condition most patients suffer from. 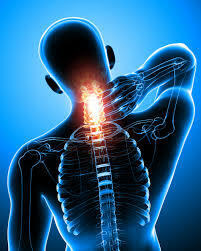 From Auto Accident Injuries , Pregnancy Low Back Pain and many more. View the list of top treated conditions. Welcome to Durso Chiropractic! North Las Vegas' premier choice for chiropractic care. Our doctors have treated patients from 2 weeks old to 102 years; from car accidents, heachaches, sciatica, and other types of chronic pain. We will develop a customized and effective treatment plan ensuring that you receive the right care, utilizing the latest techniques and procedures. Thank you for visiting the Durso Chiropractic website. Please contact us with your questions. We are here to help and hope to see you soon! Located on Losee Road and E. Centennial Pkwy. Between EOS Fitness and CVS. Next to Amnesia Salon and Spa.